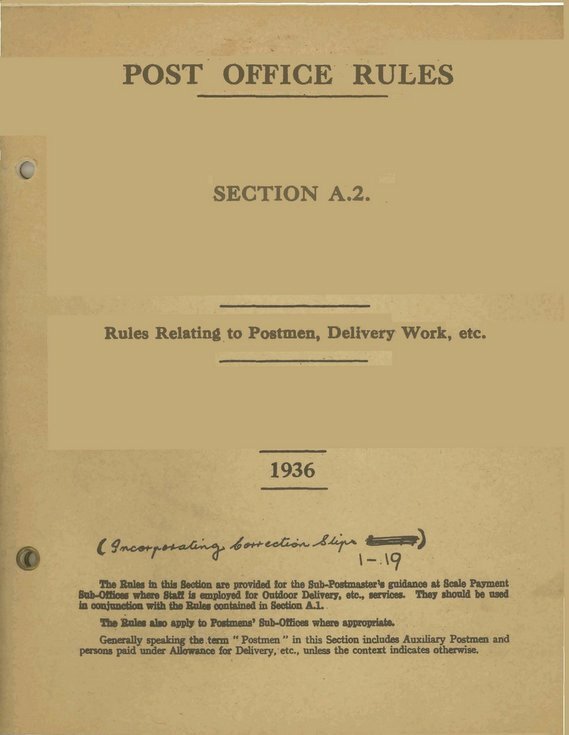 GPO Post Office Rules Section A2 Rules Relating to Postmen, Delivery Work etc, 1936 with later additions and amendments. Stapled in brown card covers. This was in the old Dornoch post office while it was used as a tourist and admin. office by the Highlands of Scotland Tourist Board.